R. Mitchell, Mar 22, “Police late Wednesday released a video that shows an Uber robot car running straight into a woman who was walking her bicycle across a highway in Tempe, Ariz. The woman was taken to a hospital, where she died Sunday night. The video, shot from the car, is sure to raise debate over who’s to blame for the accident. In the video, the victim, Elaine Herzberg, 49, appears to be illegally jaywalking from a median strip across two lanes of traffic on a dark road. But she was more than halfway across the street when the car — traveling about 40 mph, according to police — hit her. The car did not appear to brake or take any other evasive action…. Bryant Walker Smith, a law professor and driverless specialist at the University of South Carolina, said: “Although this appalling video isn’t the full picture, it strongly suggests a failure by Uber’s automated driving system and a lack of due care by Uber’s driver as well as by the victim.”…” Read more Hmmmm… “…”What we now need is for the release of the radar and lidar data,” Princeton’s Kornhauser said in an email. (Lidar is a sensing technology that uses light from a laser.) “Obviously, the video of the driver is extremely bad for Uber and probably implies that Uber should suspend all of its ‘self-driving’ efforts for a while if not for a very long while. Kornhauser questioned the police description of a situation that would have been difficult to avoid. He said Uber should reveal what its collision-avoidance software was doing during the couple of seconds before impact. ” … Again, my sincerest condolences to Elaine Herzberg’s family and friends. The simple arithmetic is: She crossed more than a lane and a half before being struck or more than 15 feet. Average walking speed is about 4.6 ft/sec which means that she was “visible” on this stretch of road for more than 3 seconds. Uber’s speed of 38 mph = 55.7 ft/sec means: Uber was 150 ft away when she began crossing the left-hand lane and could have been visible by an alert driver. The car’s lidar and radar surely must have “seen” her beginning at about that time. Car stopping distance including “thinking time used in The Highway Code” @ 38mph is 110 feet. The driver should have been able to stop 40 feet short. Any Automated Emergency Braking (AEB) system should have been able to stop the car in little more than the stopping distance of 72 feet, half way to Elaine. This simple arithmetic suggests that there may be a very funtamental fatal flaw in Uber’s AEB. And the driver was not paying attention. At 3 seconds prior to impact, Elaine was within a 12 degree field of view when she began to cross the left lane. While outside the fovea, this is well within a normal gaze had the operator been looking out the window. Investigating the Uber self driving crash that killed pedestrian Elaine Herzberg: In Episode 30 of the Smart Driving Cars Podcast, Princeton University’s Alain Kornhauser goes in depth on why it could and should have been avoided. He chats with Fred Fishkin about the impact of the crash on other testing programs and how the technology should move forward. D. Wakabayashi, Mar 23, “Uber’s robotic vehicle project was not living up to expectations months before a self-driving car operated by the company struck and killed a woman in Tempe, Ariz. The cars were having trouble driving through construction zones and next to tall vehicles, like big rigs. And Uber’s human drivers had to intervene far more frequently than the drivers of competing autonomous car projects. Waymo, formerly the self-driving car project of Google, said that in tests on roads in California last year, its cars went an average of nearly 5,600 miles before the driver had to take control from the computer to steer out of trouble. As of March, Uber was struggling to meet its target of 13 miles per “intervention” in Arizona, according to 100 pages of company documents obtained by The New York Times and two people familiar with the company’s operations in the Phoenix area but not permitted to speak publicly about it…. R. Felton, Mar 23, “… On Friday, Velodyne, which makes LIDAR sensors used by Uber, said its technology isn’t at fault in the crash….Marta Thoma Hall, president of Velodyne Lidar Inc., maker of the special laser radar that helps an autonomous car “see” its surroundings, said the company doesn’t believe its technology failed. But she’s surprised the car didn’t detect 49-year-old Elaine Herzberg as she pushed her bike across a road in Tempe, Arizona, around 10 p.m. on Sunday. Editorial Board, Mar 23, “Driverless cars offer a future with fewer deaths on the roadways. Today, roughly nine out of 10 car crashes are caused by human error; autonomous vehicles, with their sensors, radars and undistractable computer-driven system, should be much safer. That is, they should be much safer eventually. S. Abuelsamid, Mar 21, “After a pedestrian was struck and killed in Tempe, Ariz., on Sunday night by one of Uber’s automated driving prototypes, the city police initially seemed to think it was an unavoidable accident. 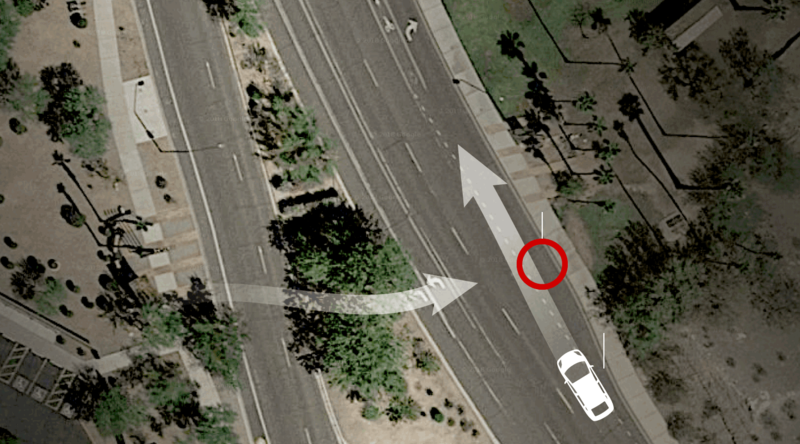 However, a completely different picture emerges from video footage that the Tempe police released Wednesday, and it now certainly appears as though the Uber system failed to perform its most basic function in near-ideal conditions. “People are super comfortable riding in elevators”: Can we shape people’s attitude to driverless cars? A. Marshall, Mar 23, “HERE’S THE STRANGE thing about where I live: When I walk outside my office, down to the busy, honk-filled four-lane road that runs by it, I’m immediately part of a wide scale science experiment. A lot of us are, here in San Francisco, in metro Phoenix, Arizona, in Pittsburgh, Pennsylvania. We didn’t sign any forms or cast any votes, but here we are, in a living lab for self-driving tech. A lot of the time, that’s exciting. One day, maybe crossing the street on foot at night won’t feeling like taking your life into your hands. This really could be the way to stop the deaths of 40,000 people on US roads every year. The blind, the old, those who can’t operate vehicles—their lives might shift wholly in a world where vehicles drive themselves.